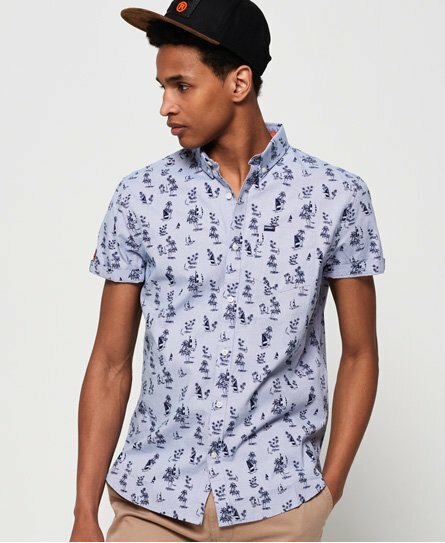 Superdry men's Premium Shoreditch short sleeve shirt. This classic button down shirt features a button down collar, chest pocket and logo patch in the side seam. Completed with a logo badge on one sleeve and logo tab on the pocket, pair with slim jeans or chinos for a smart and casual look.